Gordon received his B.S. from Duke University and his Ph.D. from MIT, where he worked with Dr. Mark Bear to settle a long-running debate on the mechanisms of ocular dominance plasticity by demonstrating in vivo a requirement for homosynaptic LTD in the loss of visual responses. 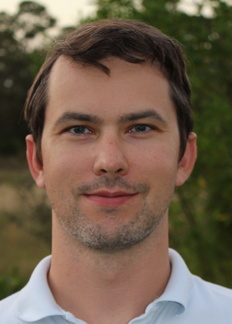 As a post-doc with Dr. David Fitzpatrick at the Max Planck Florida Institute for Neuroscience, he developed cutting edge in vivo imaging techniques that permit following the plasticity of both single neurons and large populations across development. By applying these tools to address the seemingly contradictory effects of correlated neural activity—which both drives circuit formation but also limits sensory information—he demonstrated for the first time a developmental decrease in correlated activity within a neural population, and showed that this leads to an increase in stimulus discrimination within the population. How are the neural circuits that process sensory information built during the course of development? As the development of a circuit inevitably constrains its future function, addressing this question is critical to understanding both the function of mature circuits and how neurodevelopmental disorders give rise to sensory deficits. Ongoing work has shown that large-scale distributed functional networks spanning millimeters exist in visual cortex well before they can be visually driven. We're working to determine the circuit mechanisms that give rise to these early networks and guide their refinement during development. Network function critically depends on the structure and organization of inhibition within the network, but little is known about the organization of inhibition in developing cortical networks. Using novel viral tools, we’re measuring and manipulating inhibitory neurons in the early cortex. How does early SA sculpt future perception? Correlated activity in early development is a critical driver of circuit formation and future perceptual processing. We’re using cutting edge optical approaches to explore the causal role of early patterned network activity in visual processing, and determine whether abnormal spontaneous activity is a common theme linking neurodevelopmental disorders. Wilson, D.E. *, Smith, G.B. *, Jacob, A., Walker, T., Dimidschstein, J., Fishell, G. and Fitzpatrick, D. (2017) GABAergic neurons in ferret visual cortex participate in functionally specific networks. Neuron. 95, 1058-1065. Smith, G.B. *, Whitney, D.E. *, and Fitzpatrick, D. (2015) Modular representation of luminance polarity in the superficial layers of primary visual cortex. Neuron. 88, 805-818. Smith, G.B. *, Sederberg A. *, Elyada Y.M., Van Hooser S.D., Kaschube M., and Fitzpatrick D. (2015) The development of cortical circuits for motion discrimination. Nature Neuroscience. 18, 252-261. Smith, G.B. and Fitzpatrick, D. (2016) Viral Injection and Cranial Window Implantation for in Vivo Two-Photon Imaging. Methods in Molecular Biology. 1474, 171-185. Yoon, B.J. *, Smith, G.B. *, Heynen, A.J. *, Neve, R.L. and Bear, M.F. (2009) Essential role for a long-term depression mechanism in ocular dominance plasticity. Proceedings of the National Academy of Sciences. 106, 9860-9865.